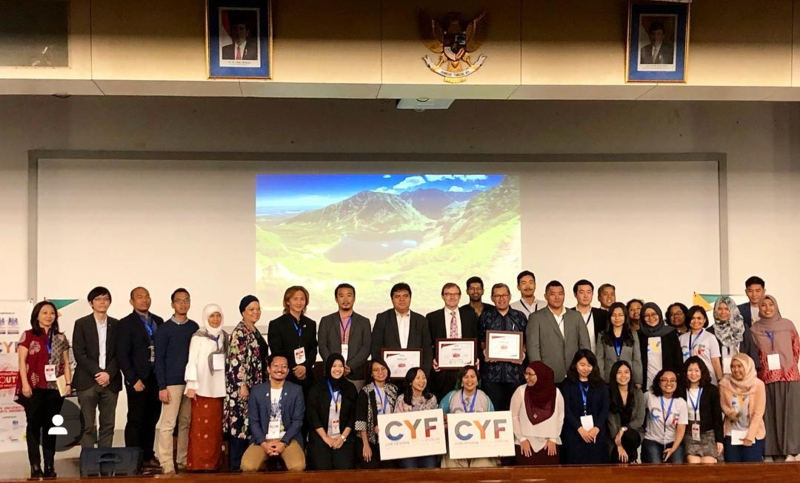 The Chevening Youth Forum (CYF) – South East Asia Edition in collaboration with the Department of International Relations at Binus University, was held on January 19, 2019, at Anggrek campus, Bina Nusantara University. This event is a forum platform for Chevening alumni and more than 300 young leaders in the Southeast Asia region to gathering and embrace the participants of Bina Nusantara students who register as participate in discussing insights, challenges and opportunities to progress and development of ASEAN. Opening Session of CYF was opened by Ms. Dayu Nirma Amurwanti, as President of Chevening Indonesian & Ms. Alumni Fatin Arifin as General Secretary of Brunei Chevening Alumni & Founder, Chevening Youth Forum, followed by the welcoming remarks by Rob Fenn, Deputy Head of Mission to Indonesia, ASEAN, and Timor Leste & by Prof. Dr. Tirta Mursitama PhD, Vice Rector of Bina Nusantara University for Research & Technology Transfer. Also Keynote Address by Dr. Yanuar Nugroho, Deputy Chief of Staff to the President, Executive Office of the President of the Republic of Indonesia. Hosted by Indonesian Chevening alumni and Chevening alumni of Brunei Darussalam, this forum carried the main theme “Empowering Youth for ASEAN 4.0” to collectively explore how youth can lead ASEAN into the 4th Industrial Revolution. The forum format consists of forum sessions, a form session as well as open space session on diverse topics with the goal of sparking collaboration and inspiring action. Specifically, there were 2 sessions which were filled by different forum sessions. 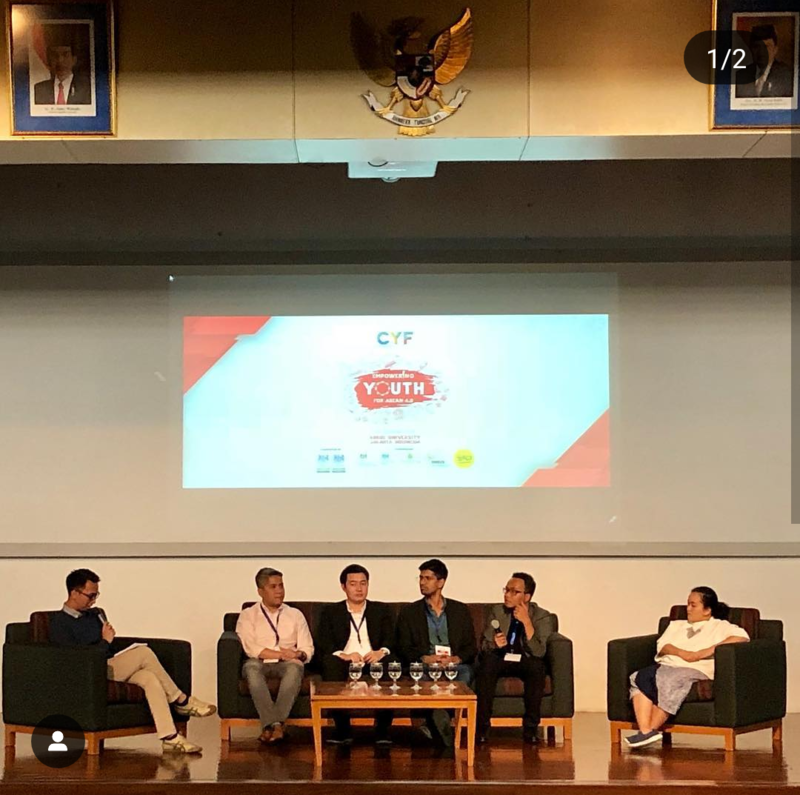 In session 1, there were 6 session breakouts, the first is ASEAN Digital Turning, Energy Sustainability for 4th IR, Green Commercializing Problems, Entrepreneurship, Shaping Innovation, and Politics for Industrial Revolution. Then in session 2, there were 5 session breakouts, among are Addressing the Development Gap in ASEAN, Jobs of the Future, Human Capital Development for 4th IR, Closing the Digital Divide, and Youth Empowerment. This event ended with sharing sessions to connect the discussions together where participants from the breakout sessions shared about the findings of the discussion.